The Bluegas Inter-Lane Volleyball tournament was deemed a success by Eagles Volleyball Club coach Francis Lanyon. The tournament was held at the new Bluegas Eagles Courts in Raiwai yesterday. 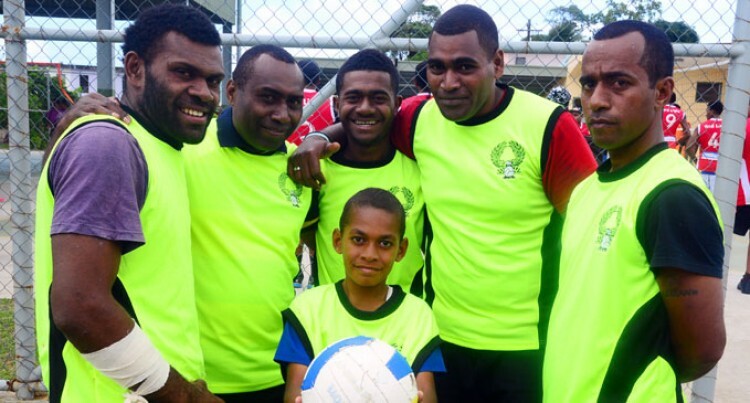 Eagles Volleyball Club organised the tournament to identify talented players to represent them in the upcoming Raiwai Volleyball Association Club competition and national tournaments. The players will be sending four teams – Red Light, Snipers, Gambling City and Bulldogs in both the men and women’s category to the Raiwai Volleyball competition. “The wait to have such a tournament has been long but worth it because we have been striving to have such a tournament,” Lanyon said. With such an event that brings in a lot of talent, Lanyon said they had identified a lot of young players. “The Under 17 and U19 teams stood out. “Competitions have been tough especially between the two top clubs in Raiwai, Red Light and Bulldogs, who have already produced national reps.
“We thank Bluegas for supporting us and giving us the opportunity to organise such an event,” he said. In the U17 grade, Red Light beat Bulldogs 2-1 in the men’s category while Snipers beat Gambler City 2-1. In the Open grade, Red Light beat Gambling City 2-0 in the men’s while Snipers beat Gambler City 2-1 in the women’s category.